LSE Cities researcher Harry Blain shares the history of the Urban Age Programme, which celebrates its 10th anniversary in 2015. The birth of the Urban Age Programme stemmed from the conviction that cities reflect not only our most acute problems but also our great innovations, opportunities and solutions. An initiative of LSE Cities’ Ricky Burdett, Philipp Rode, Richard Sennett, and Deutsche Bank’s Alfred Herrhausen Society, the first Urban Age conference was held in New York in February 2005. Here, the Superintendent of the New Jersey State Police discussed public life and urban space with sociology professors, while architects, planners and mayors debated strategies for financing and managing urban transport. This diversity of views and participants has been a feature of all thirteen subsequent conferences, from Shanghai in July 2005 to Delhi in 2014. 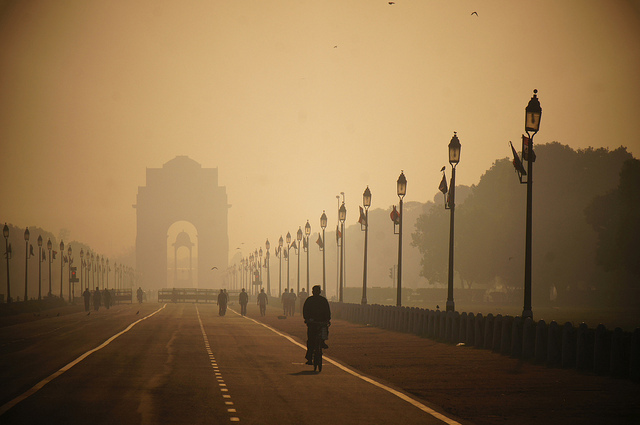 The 2014 Urban Age conference – ‘Governing Urban Futures’ – was held in Delhi. Image: Flickr/Rajesh Pamani. Some rights reserved. The conferences themselves and their accompanying newspapers have, above all, been about exploring the relationship between the physical and the social: how Hong Kong’s high density affects the mental health of its residents; how Delhi’s rapid expansion impacts on its informal neighbourhoods; how the 2012 Olympics has shaped London’s most concentrated pockets of deprivation. Such questions speak to the complexity of individual cities, as well as potential lessons for wider common challenges of social inclusion, governance, mobility and environmental sustainability. 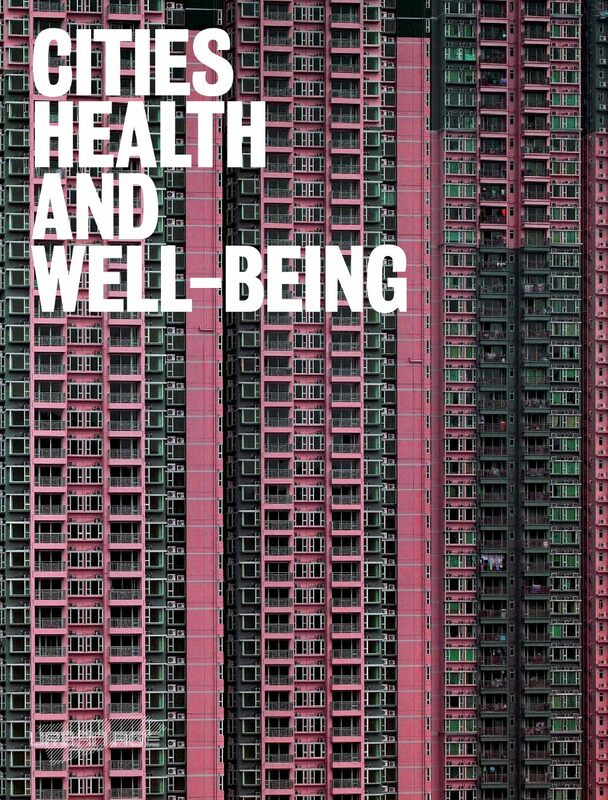 Cover of the newspaper for the 2011 Urban Age conference, “Cities, Health and Well-Being”, held in Hong Kong. As such challenges are discussed during the upcoming Urban Age Global Debates and chronicled through the new Urban Age digital platform, cities themselves will be evolving, adapting and, inevitably, struggling. Since the first Urban Age conference, bus fare increases have brought riots to the streets of Rio and Sao Paulo, average monthly rents in London have reached £1,500 for the first time, and Shanghai’s metro system has become the longest in the world. 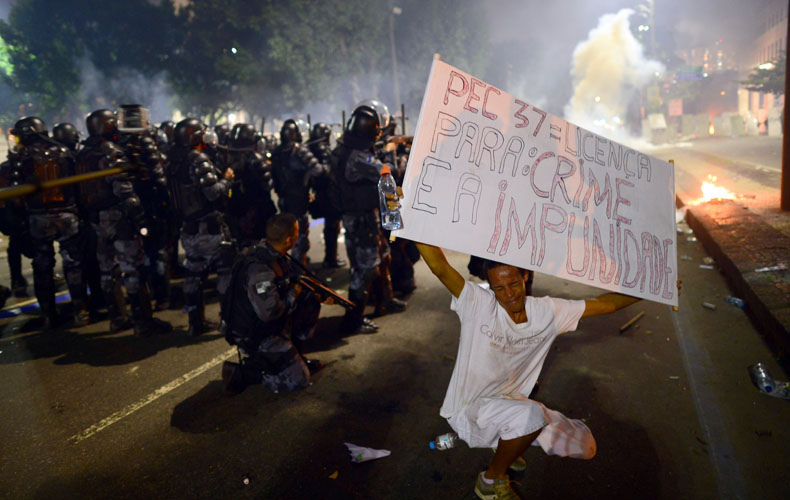 The 2013 Urban Age conference was held in Rio, a year in which the city was hit by mass protests and riots. Photo: Flickr/Sebástian Freire. Some rights reserved. Events and human forces move faster than mayors, architects and academics, and the Urban Age has had to grapple with this unpredictable and contested terrain. In the future, as the pace of urbanisation accelerates worldwide, this terrain will only become more daunting and complex. At the same time, the task of understanding and improving life in the city will only become more pressing.